Comey was a minor assistant US attorney in the late 90’s. He gained power and money by being the DOJ official who “investigated” and cleared Bill Clinton of any wrong-doing in Clinton’s pardon of criminal financier Marc Rich as Clinton was leaving the Presidency. Many feel this was the beginning of a career for Comey in which he used his position and power to assist political folks in ways that only an incredibly connected D.C. lawyer could. Comey reportedly provided “cover” for the Clintons in their gaining power and wealth after leaving office through pardoning a billionaire money-launderer, arms dealer, and criminal. Comey was a key piece in how the Clintons gained incredible wealth through their foundation after leaving the White House. A huge piece of that puzzle was giving Marc Rich a free pass when he should have spent life in prison. This started a new “politicratic” life for Comey, making him powerful and wealthy. The Deputy Attorney General has lived a quiet life when compared to most in D.C. He grew-up in a Philadelphia suburb, graduated from Penn and Harvard. In 1995, Rosenstein joined the team of lawyers investigating the Whitewater scandal, which involved allegations of illegal real estate dealings by the Clintons. Rosenstein headed one of the few successful Whitewater prosecutions, which led to the conviction of former Arkansas Gov. Jim Guy Tucker and Clinton associates James and Susan McDougal. Before ascending to the deputy attorney general post, Rosenstein spent more than a decade serving as a US attorney in Maryland. He is politically conservative and was appointed by President George W. Bush. But when Barack Obama took office, Rosenstein was one of only three US attorneys among 93 to be kept on the job by the new president. As US attorney, Rosenstein led successful prosecutions for leaks of classified information, corruption, murders, and burglaries. But he is best known after being confirmed 94-6 by the U.S. Senate as Deputy Attorney General for writing a damning 1000 word letter to President Trump in which he excoriated James Comey’s action in the Clinton email investigation. Trump after receiving Rosenstein’s letter famously fired FBI Director Comey. There is a longtime relationship between the Amigos who have been tasked with investigating President Trump, under the narrative of enforcing the law. James Comey worked in the DOJ directly under Mueller until 2005. Rod Rosenstein and Mueller go even further back. James Comey wasn’t just an associate of Mueller back then, but rather his protégé. Under the George W. Bush presidency, when Comey was serving as Deputy Attorney General under John Ashcroft, Robert Mueller was Comey’s go-to guy when he needed help. The two men, as it came to light years later, together disobeyed potential White House orders to leave Ashcroft alone when he was incapacitated in March of 2004. Rod Rosenstein, current Deputy Attorney General under Attorney General Jeff Sessions, is also a member of the Mueller Gang, having worked directly under Robert Mueller at the Department of Justice as far back as 1990. When Comey was still working as the Deputy Chief of the Criminal Division for the U.S. Attorney’s office in New York, Mueller and Rosenstein became close. We look back at Rosenstein’s loyal work for Hillary Clinton when he became a clean-up man for the Clinton Administration as an Associate Independent Counsel from 1995 until 1997. He supervised the investigation that found no basis for criminal prosecution of White House officials who had obtained classified FBI background reports. He allegedly covered for the Team Bill Clinton, including for Hillary, as she was one of the people who had access to the reports, and may have even requested them. Not surprisingly, no indictments were filed. Rosenstein was appointed to work in the U.S. Office of the Independent Counsel under Ken Starr on the Whitewater Investigation into then-President Bill Clinton. The Clintons escaped culpability once again. Rosenstein had help from his co-worker James Comey, who worked to see the Clintons were exonerated during the Whitewater affair. Mueller seemed to be shepherding Rosenstein and Comey, leading them in careers along the way. Knowing the close personal and legal relationships between these three, it should come as no surprise that once Jeff Sessions recused himself from the Russia Collusion Conspiracy investigation and turned it over to his deputy Rod Rosenstein, that Rosenstein would reach out to his old mentor for help. And it should have surprised no one when three of the top federal attorneys from the past find themselves together in a questionable quest to find wrongdoing by President Trump. But it surprised many. Enter Lisa Barsoomian, wife of Rod Rosenstein. Lisa is a high-powered attorney in Washington, DC, who specializes in opposing Freedom of Information Act requests on behalf of the Intelligence Communities. She works for R. Craig Lawrence, an attorney who has represented Robert Mueller three times, James Comey five times, Barack Obama forty-five times, Kathleen Sebelius fifty-six times, Bill Clinton forty times, and Hillary Clinton seventeen times between 1991 and 2017. Barsoomian participated in some of this work personally and has herself represented the FBI at least five separate times. It would be great to research the specifics of the cases she worked in, but many of the documents from the Court Dockets relating to these cases have been removed from the D.C. District and Appeals Court, including records of her representation for Clinton in 1998’s case Hamburg. V. Clinton. The “Three Amigos” have surprisingly obvious conflicts of interest in their past and current investigatory responsibilities. Mueller even acted as a delivery boy for Hillary’s State Department, hand transporting ten grams of highly enriched uranium under the auspices of counter-terror. Was it a coincidence that this happened at the same time as Hillary and her associate John Podesta were nurturing the Uranium One deal that would see Russia take control over 20% of America’s proven uranium reserves? Shortly after the Russia uranium deal closed, the Clinton Foundation was showered with many millions of dollars from Russian donors. 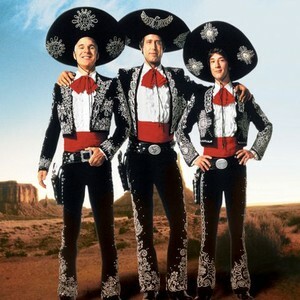 Comey, Rosenstein, and Mueller are truly the “Three Amigos” of the Deep State. Only time will show us what their true intentions were in the FBI investigation of the Clinton email server and the current investigation of the Trump Campaign. But from historical interactions between the three, it is almost certain the three are working in tandem for whatever their objectives in these investigations may be. Here’s the Grand Finale of all this: Robert Mueller’s appointment by Rod Rosenstein as Special Counsel violates the law! The critical element of the law that was purposely twisted by Rosenstein to appoint Mueller is this: “….will appoint a Special Counsel when he or she determines that criminal investigation of a person or matter is warranted.” According to former FBI Director Comey in two sworn testimonies before Congress, he stated that the investigation of collusion with Russians by members of the Trump Campaign was NOT a criminal investigation, but a COUNTER INTELLIGENCE INVESTIGATION! Mueller’s appointment by Rosenstein violated the statute, and further was an unconstitutional act. There are multiple sleazy actions taken by the Mueller team — obviously with the approval of Rosenstein — in this action. Here’s the problem with this: according to the law shown above, a Special Counsel can be appointed when “he or she determines that criminal investigation of a person or matter is warranted.” A criminal matter worth investigating was NOT the predicate for Mueller’s appointment! And it gets even deeper. Remember that Rosenstein wrote another memo later that was hidden from public view for a long time? That memo was to amend the first appointment memo quoted above to allow Mueller to investigate things that were not shown to be criminal. The problem is that the Special Counsel law was passed by Congress and signed into law by the President. No member of the Justice Department or any agency of the Government has authority to change any duly passed law or even amend its stated purpose without Congressional approval. Rosenstein had NO authority to appoint Mueller in the first place. Why? The FBI investigation under Comey had unearthed NOTHING that could be considered a criminal action. And Rosenstein’s second memo written to Mueller to try and justify his illegal initial appointment further proved the wrongdoing. What will this mean in the long run? This is my opinion only, but I think the facts of this illegal appointment will result in the entire Mueller investigation, its indictments of those Russians, the guilty pleas of Michael Flynn and George Papadopoulos will be thrown out. And further, I believe that any of the actions taken by Mueller against Paul Manafort that may result in a conviction will be ruled void. Why? “The fruit of the poison tree.” The very foundation of the Mueller Investigation was invalid, illegal, and uncalled for. There are several sad things about this debacle: General Michael Flynn was virtually blackmailed into his guilty plea. He was interviewed by Peter Strozk but was not represented by his attorney during the interview and was not under oath. He pled guilty to keep his son from being charged. FBI agents later said they did not feel he told any untruth during that interview! Papadopoulos was pretty much trapped in a similar scenario. And Paul Manafort is being nailed to a tree for actions taken a decade ago regarding financial matters that Rosenstein and others at the time these were discovered decided they were not worth charging Manafort back then! What are all these people actually guilty of? Supporting Donald Trump, and nothing more. The “Three Amigos” are leaving a black mark on the history of the greatest law enforcement department in the World by bending the law and railroading good people. No matter the outcome, we are seeing the Deep State attacking the fabric of the American Justice System like happens only in third-world countries.